Actor producer Prakash Raj's maiden venture as a filmmaker in Tamil - 'Dhoni' has finally hit the screens amidst much anticipation. The very title may arouse curiosity for it is named after Team India's captain Mahendra Singh Dhoni. Prakash Raj's Dhoni is a whiff of fresh air in more sense than one. 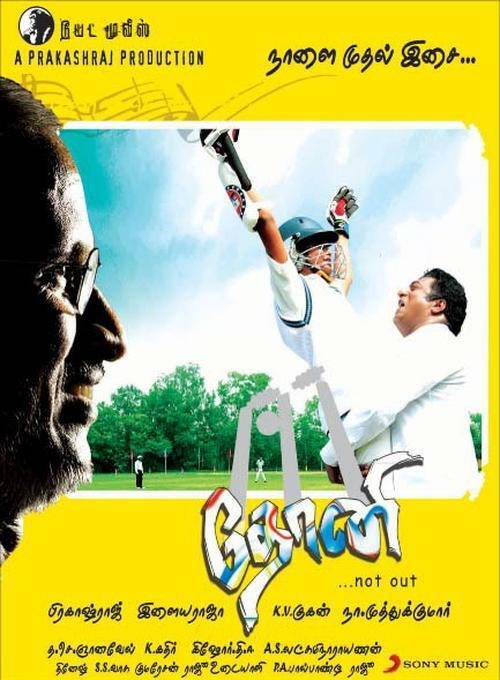 The best part of this film is that it doesn't sound a bit cliched despite its lead character (Prakash Raj as a widower Subrahmanyam) lunging for the muchpressurised school children, probably because the multi-dimensional film shows lot of tact in interlacing humour and parental affection, coupled with the mundane travails of a struggling middle-class man, and, above all, making its point in plain language. In the process, the film raises a banner of revolt against the idiocy of an education system that fails to bring out the latent talent in the child, that forever fails the 'dull' child, and that has nothing to offer but a one-size-fits-all syllabus. The film seems to ask this fundamental question: Is it right to label a child as a dullard? Please do not spoil a child's life by such dangerous characterizations, a frustrated Subbu pleads. By touching upon the rampant 'disease' of labelling those children who can't get good marks as useless, worthless, etc., Dhoni succeeds to connect with us even better than a Tare Zameen Par.